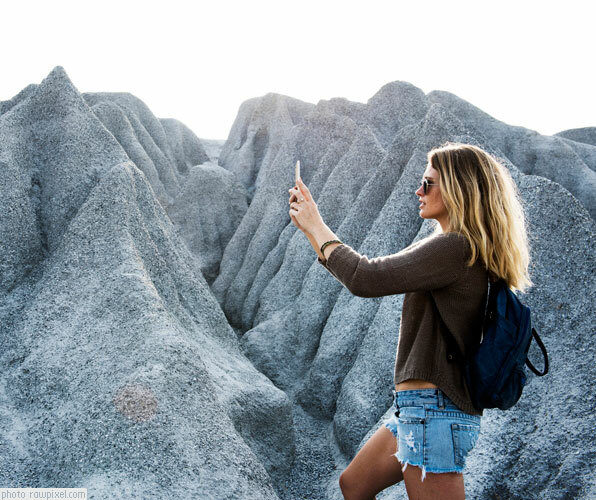 Georgia is the place to be if you want to spot hot movie stars and top film locations. Who knew? Well, lots of people apparently since movie tours in the state of Georgia are doing a brisk business. With a busy film production schedule in the state, the happy result for fans is the many must-see film locations and tours in Atlanta or within a half hour drive from the city. Georgia, aptly nicknamed the Hollywood of the South, has become home to some pretty famous productions including Walking Dead, Vampire Diaries, Stranger Things, as well as the new Spiderman and Guardians of the Galaxy 2 movies. Here are our top picks of the best film tours in the state to help you plan your Hollywood of the South experience! I have to confess, I am a big Walking Dead fan, even though it has been getting kind of over the top gory lately, I can’t help but keep watching. I’ve always been a sucker for any end-of-the-world stories and I love the strong female characters portrayed in this series, go Michonne, Carol and Maggie! 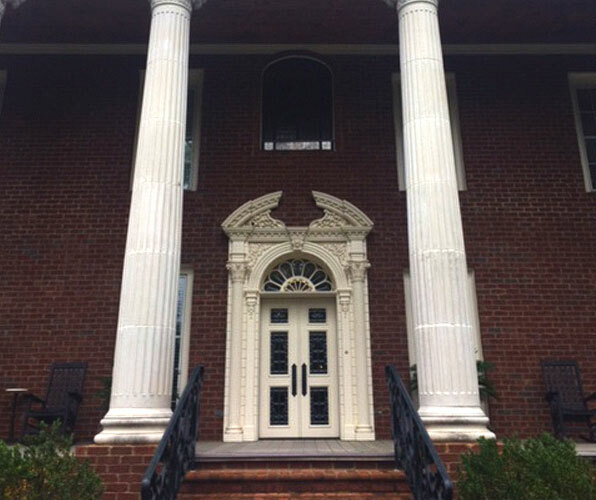 I was thrilled to head out with Georgia Mercantile Tours on a two-hour tour of Senoia Georgia. This cute little southern town is ground zero for any Walking Dead fan, its main street is full of Walking Dead inspired stores, cafes and the awesome Nic and Norman’s, a restaurant owned by Norman Reedus (Daryl) and Greg Nicotero, TWD’s director and producer. 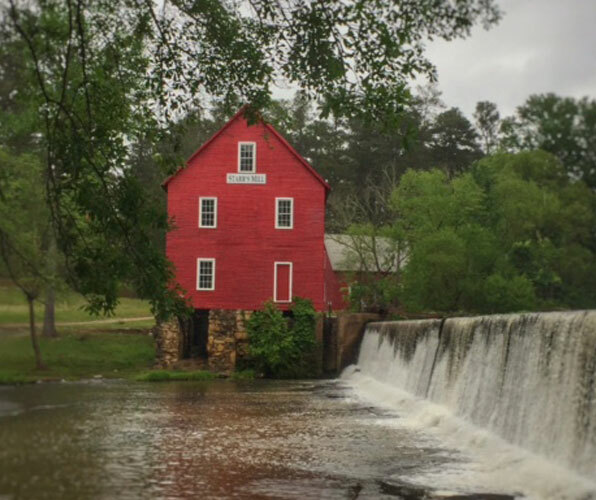 Senoia is home base for both Woodbury and Alexandria, two of the biggest story locations in the series as well as many other key TWD locations. 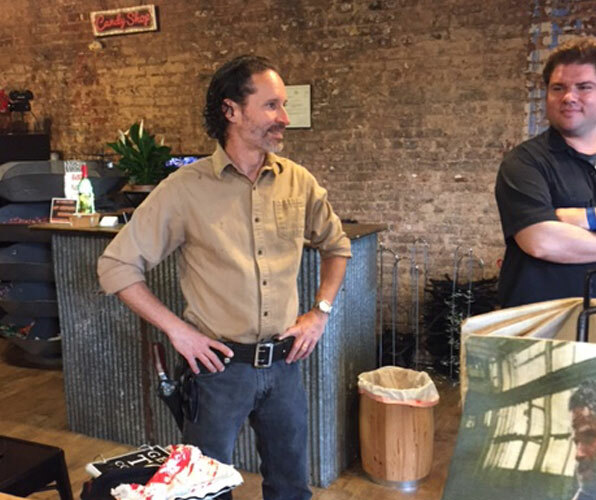 Our tour leader was a dead ringer for Andrew Lincoln, the actor who plays Rick Grimes on the show. He was such a close resemblance to the actor that during our walk around town, cars kept slowing down, with drivers trying to get a closer look at our ‘star’. Other tour leaders lookalikes include the actors portraying TWD’s ‘geeky turncoat’ Eugene and the recently departed Abraham (RIP). 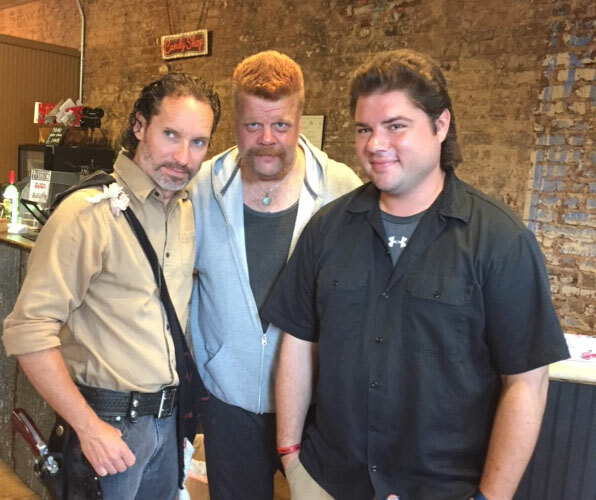 This was a fun tour, our very charming ‘Rick Grimes’ guide was full of behind the scenes information and anecdotes about the show and the town, I loved every minute of the tour and would recommend it for any Walking Dead fan. Touring the town of Senoia is surreal for any true TWD fan, you see so many recognizable locations from the show and best of all, the walled off village of Alexandria is located right in town! Raleigh Film Studios in Georgia has actually built the entire little village, called Gin Properties, to be used as a film set and offered the houses up for sale as long as the buyers agreed to strict conditions regarding filming the series. Just imagine being able to live in the real Alexandria, watching scenes unfold in front of you? 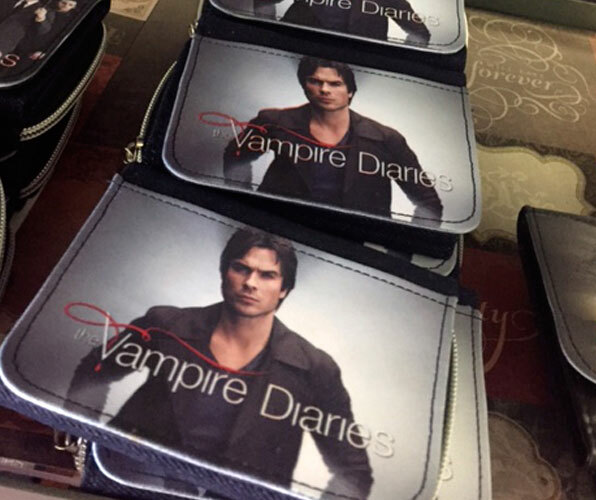 Another very popular TV series, The Vampire Diaries, has just wrapped up in Georgia, but it is still attracting many loyal fans to the pretty little town of Covington, Georgia where they can immerse themselves in all things vampire. Covington, located about a half hour east of Atlanta Georgia, is a perfect day trip giving visitors enough time to take the fun Vampire Stalker Tour, have lunch at the Mystic Grill and to find the perfect spots for some cool SnapChat and Instagram shots. My fav vampire locations? Hands down, I loved visiting the gorgeous Lockwood Mansion and the town’s impressive courthouse. Extra bonus, when you visit the courthouse, be sure to check out the Footloose marker in front of the courthouse. The 2011 remake of the movie, Footloose was also filmed in Covington. The city of Atlanta Georgia has become a hotbed of film production in the past few years, with blockbuster movies like Spiderman, Guardians of the Galaxy, as well as Stranger Things and The Walking Dead TV series shooting some of their most iconic scenes in this bustling southern city. It is really hard to choose only one tour out of the many offered by The Atlanta Movie Tour Company, I wanted to do them all! They offer a Gone with the Wind tour, FOUR Zombie tours for Walking Dead Fans, and a Hero Tour perfect for any comic superhero fan, but I would recommend the “Best of Atlanta’ Tour for an all over immersive experience of many of the great film locations in the city. 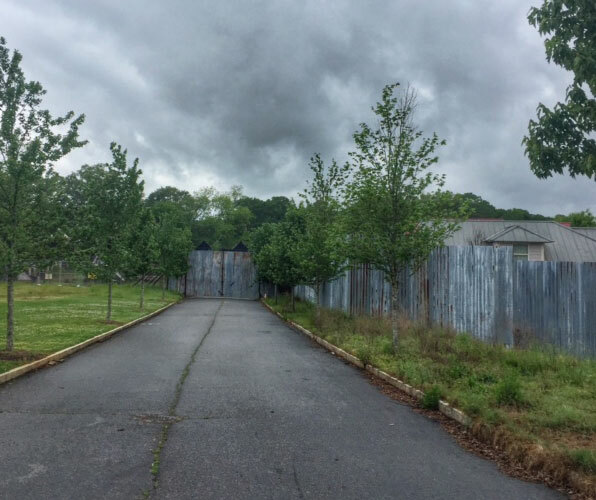 My favorite stops on the tour included the Walking Dead’s Terminus (of course:) and my new favorite TV series ‘Stranger Things’ hospital location in Atlanta. Head to Peachtree City, located just a short drive south of Atlanta, for a great Southern Hollywood bus tour to see many popular film locations in Georgia. If you’re a fan of Sweet Home Alabama, Drop Dead Diva and The Immortal Life of Henrietta Lacks this is the tour for you. The tour bus also swings by Pinetree Studio, the massive film studio where blockbusters like Guardians of the Galaxy, Ant-Man, Spiderman and The Avengers are born.